New Home? Here’s Some Plumbing Checks and Things You Should Know! Moving into a new house is both exciting and stressful. Often overwhelmingly stressful. There are many steps you need to take before, during, and right after the move. These range from getting to know your new neighbors (which can be a great deal of fun) to inspecting the roof and the siding (a lot less fun, but necessary). A plumber in Ontario, CA can tell you that inspecting new home plumbing is a critical step. The plumbing in a house isn’t easy to see on a casual inspection, and there may be repair jobs and replacements necessary to get the plumbing up to standards. Here are some checks and other plumbing jobs to do when you move into your new house. Posted in Plumbing | Comments Off on New Home? Here’s Some Plumbing Checks and Things You Should Know! We’re a full-service plumbing contractor offering both residential and commercial plumbing in Pomona, CA and throughout Southern California. We take pride in handling all jobs, large and small. And one of the most critical jobs we offer is leak detection. It’s basically what it sounds like: searching out hidden leaks in a building so we know how we can fix them. But leak detection is a much more complicated business than just looking around for spots of water damage. (Although visual inspections are part of most jobs). Customers often have questions about leak detection, and we’ve put together answers to the ones we hear most often. Water conservation is a big topic in California, and it has been since the state existed. There are many ways for homeowners to reduce their water consumption, which will both lower utility bills and benefit the environment. Unfortunately, there are too many ways to waste water as well. In this post, we are going to shine a light on a few of the major ways your home may be wasting water—either from plumbing issues or the way people in the house use the plumbing. 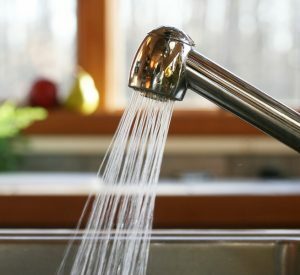 Our Montclair, CA plumbers can help you turn your plumbing system into a more water-saving one, but there are also basic steps you can take to get your water use under control. Professional plumbers are invaluable when it comes to most plumbing services, from something as basic as unclogging a drain to complex jobs involving new construction plumbing installation. One of the most important jobs a professional plumber offers is leak detection. Leaks are common in homes and commercial buildings and they’re difficult to spot most of the time. To find leaks and then be able to repair them, professional plumbers use a variety of special tools. Below are some of the leak detection equipment that our plumbers use on the job. Slab leaks are bad news for a home—they’re one of the most destructive types of plumbing problems, leading to a huge waste of water, flooding in the lowest parts of the building, and health problems from mold growth. But if you catch signs of a slab leak early enough, you can have our expert plumbers on the job to fix it. The sooner we can stop the leak, the easier the work and the less it will cost. Best of all, you won’t have water seeping up into your home through the floorboards! Household plumbing can suffer from leaks. That’s just the way things are: the finest plumbing installation and maintenance work can’t prevent all potential leaks. 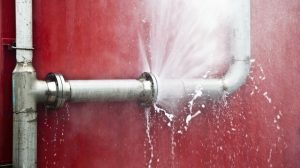 The best way to deal with leaks is to have them fixed as soon as possible—and most of the time, that means calling a professional, licensed plumber. After the clogged drain, the water leak is the most common and persistent trouble affecting home plumbing. 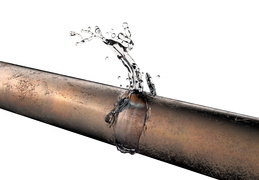 Leaks in pipes and valves creates water damage, lowers water pressure throughout a plumbing system, wastes water, and can even create unhealthy conditions. For example, you don’t want leaks in sewer lines allowing bacteria and other contaminants into your house, and even fresh water leaks can create the growth of harmful molds. 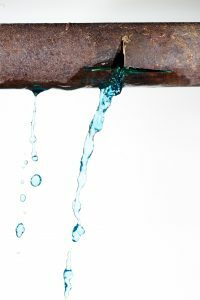 This list of leaky plumbing problems is one of the reasons you should never wait to call a professional plumber to fix a leak. Any plumber will tell you that there’s no such thing as a “minor” leak. A leak can be small, but the accumulation of water still causes plenty of damage. Small leaks often get the opportunity to create problems because people brush them off and delay calling for a pro to fix them. Why Is My Ceiling Leaking? Water leaking from the ceiling of a house typically means the roof is damaged. Or at least it does in most parts of the country. But here in Southern California, where rain is uncommon, the sight of water dripping from the ceiling usually happens when there’s no rainfall on the roof. The dripping water comes slowly from a spot on the ceiling where there’s a growing spot of discoloration. This is a sign of a leaky pipe in the plumbing. If you notice this happening, don’t delay at getting it fixed. Leaking pipes are a problem requiring a professional plumber in Corona, CA or wherever you live in Southern California. Don’t turn to amateurs, and don’t attempt to fix the problem on your own. Posted in Plumbing | Comments Off on Why Is My Ceiling Leaking? There are few plumbing problems a home might encounter that present more difficulties than a slab leak. What’s a slab leak? It’s the name for a leak in the pipes laid in the concrete foundation of a building. These leaks can occur in either hot water or cold water lines (around 80% are in the hot water lines) and lead to extensive water waste and eventually damage to the foundations. What makes slab leaks a tough plumbing repair is that they’re difficult to locate and then to reach. Skilled plumbers can use a variety of methods to fix a slab leak once they’ve gotten its location. 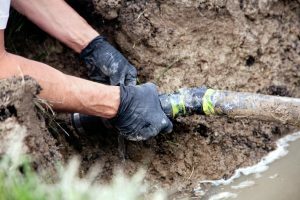 Using a jackhammer to dig directly down is one option, but plumbers can often use lateral tools to avoid excavation and instead put in new pipes to bypass the leaking section. We’ve talked before about slab leaks, one of the more difficult problems when it comes to residential plumbing, but we’ll go over them again to give you an idea what you (and our plumbers) are dealing with. 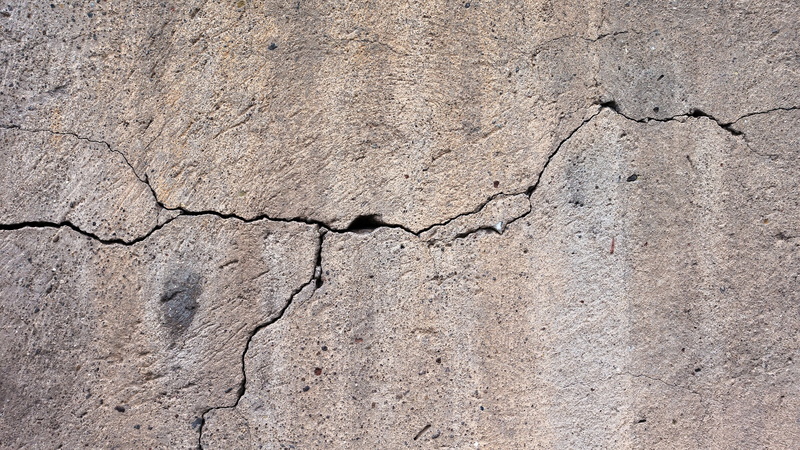 A slab leak is any pipe leak set down in granite or other hardscaping on a residential (or commercial) property. In most cases, when plumbers talk about slab leaks, they are specifically talking about leaks in the cold water and hot water pipes down in the foundation of a house, although pipes in slabs can be found elsewhere. Around 80% of slab leaks happen in hot water pipes, which expand with heat to abrade faster against the stones around them.